The Greek Society of Adolescent Medicine (G.S.A.M.) www.youth-med.gr is a scientific, non-profit organization, active in the field of quality of life and health of adolescents and young people. G.S.A.M. was founded in 1992 and has been encouraging clinical, research and educational work on adolescent health, all over Greece. The organization has been collaborating with academic institutions, NGOs and scientific societies globally. During the last years, it has been affiliated to the Adolescent Health Unit (A.H.U) of the Second Dpt of Pediatrics, University of Athens, “P. 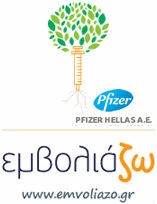 & A. Kyriakou” Childrens’ Hospital www.youth-health.gr supporting clinical, educational and research programs.